Rifleman Karamjeet Singh was martyred in the firing that went on for close to two hours. Jammu: A rifleman lost his life in the ceasefire violation by Pakistan in Keri Battal of Sunderbani sector along the Line of Control in Rajouri, on Monday. Rifleman Karamjeet Singh was martyred in the firing, reported ANI. Pakistan violated ceasefire in Rajouri district at about 5.30 AM by resorting to shelling with mortars and firing of small arms. 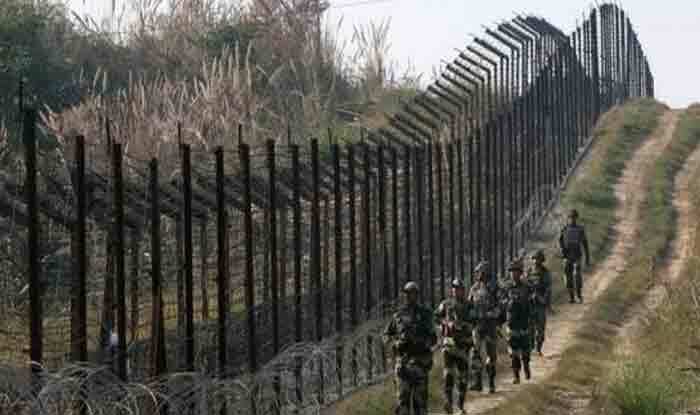 Indian Army retaliated effectively and the firing stopped at 7.15 AM. Only last week, the cross-LoC trade was suspended after Pakistan Army violated the ceasefire by resorting to unprovoked mortar shelling in Poonch district, said media reports. Five mortar shells hit the trade facilitation centre at Chakan-da-Bagh, damaging a few sheds, including the one housing the X-ray scanner, custodian of LoC trade centre, Poonch, Fareed Kohli said. He said the shelling took place around 12.30 PM, when the process of scanning of the trucks was almost complete. There were no casualties but the shelling caused panic among those present at the centre, he said, adding that the main building remained safe. Kohli said the cross-LoC trade was suspended for the day in view of the shelling. Officials said the shelling started in Krishna Ghati sector around 10.30 am and later spread to Poonch sector. The cross-LoC trade between Poonch on this side and Rawalakot in Pakistan-occupied Kashmir (PoK), which started in October 2008, takes place from Tuesday to Friday every week on barter system. Cross-border skirmishes saw a spurt after India’s pre-emptive air strike on a Jaish-e-Mohammed (JeM) terror camp in Balakot on February 26. The strike followed the February 14 Pulwama terror attack in which 40 CRPF personnel were killed. The JeM had claimed responsibility for the attack.